Customise your sketchbook with your own unique designed cover. Paint on your design in acrylic. 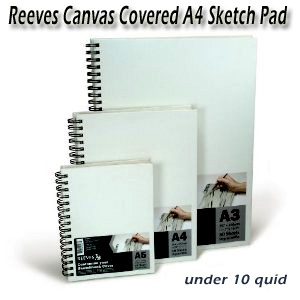 A spiral bound sketchbook featuring a canvas cover makes this ideal for students to customise. Paper inside the sketchbook is suitable for sketching in pencil, pastel and markers. Ideal for student work journals. Reeves has been established since 1766 and as such is built on a heritage second to none. From the development of William Reeves' moist watercolour 'cake' Reeves continues to lead innovation within the fine art, hobby & craft, education colours, grounds and accessories - making us the fastest growing art brand in the world. This is an excellent sketchbook for the price, the paper quality is amazing and great for anyone who uses paint, pencil, pen, charcoal, the list goes on. The front cover is made of canvas so its great for painting your own design on the front. The only downside to this is that you can't really do a detailed pencil drawing with it, which is what I was hoping to do but its still great for painting. 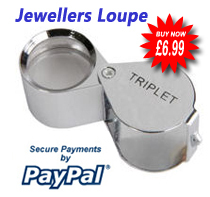 Overall a great product and a great service from the retailer.